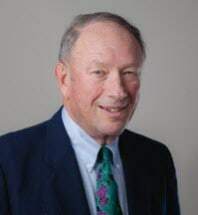 Warren Rich, the Firm's Senior Partner, has over forty years experience in drafting, implementing, counseling and litigating environmental and land use issues. Mr. Rich was Assistant Attorney General and Counsel to the Secretary for the Maryland Department of Natural Resources from 1970 to 1978, during which time he authored many of Maryland's original environmental regulatory programs. Over his career he has focused on a wide variety of environmental areas, including water quality and pollution control, hazardous waste, air quality, land planning and zoning, and natural resources. He has extensive federal and state litigation experience involving the Clean Air Act ("CAA"), the Resource Conservation and Recovery Act ("RCRA"), the Clean Water Act ("CWA"), and Superfund. Mr. Rich has extensive experience in negotiating resolutions and settlements to complex issues involving conflicts between Federal/state/municipalities and private interests. Mr. Rich received his law degree from the University of Virginia School of Law in 1964 and his undergraduate degree from the University of Pennsylvania in 1960. He is admitted to practice in the states of Maryland and New York, the U.S. District Court for the District of Maryland, the Federal D.C. Circuit Court of Appeals, the U.S. Circuit Court of Appeals for the Fourth Circuit, and the U.S. Supreme Court.